Update: with the disastrous earthquake, clean water shortage would be one of the grave challenges that Nepali would have to face. Here’s how you can help. These prices are pretty normal. After all, the water has to get there somehow. 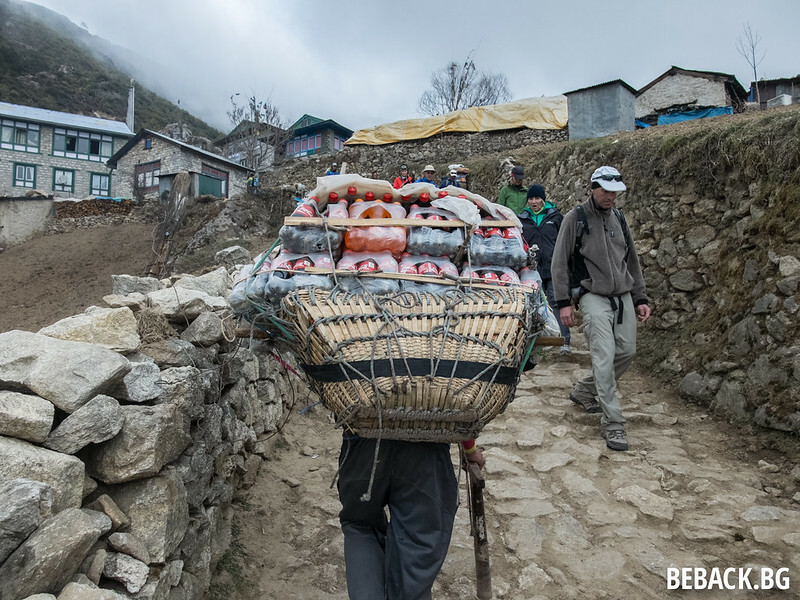 As I mentioned in previous article, a kilogram transported uphill from Lukla to Namche Bazaar costs 50RS. There were rumors that the plastic bottles were refilled and resealed on the ground but I doubt that serious lodge owner would sell such water. 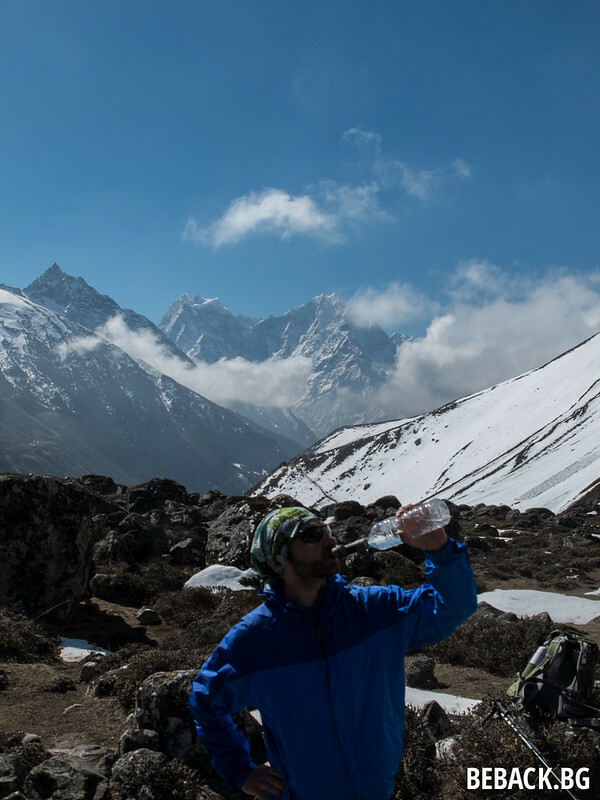 With all this plastic, we knew that it would not only be bad for the environment if we buy bottled water but also not good for our wallets (we ended up having between 3 and 7 litres per day to help fight altitude sickness). That’s why we were prepared with a couple of filtering options. I was happy with Oasis Water Purification tablets. 50 litres of clean water for 7 EUR. If you hate chlorine, just add a bit fruit-flavoured powder drink to taste. One downside – you have to wait at least an hour before the water is drinkable. Another option was a Steripen. After 90 seconds the ultraviolet light is supposed to destroy a wide variety of bacteria and viruses. Fast but a bit pricier. 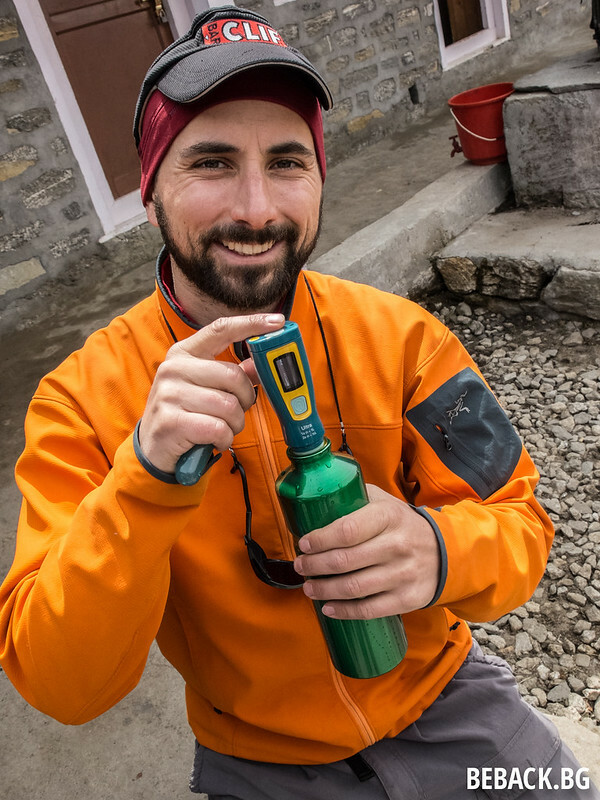 One of our fellow travellers had chosen the awkward-looking Aquamira Frontier Pro – Emergency Water Filter. Even faster than the Steripen. Getting off Gokyo we ran out of water, so this filter allowed us to drink… some snow. Each of these systems has its pros and cons. I am not going to do a detailed review because I have not had the chance to test them fully. Besides, Outdoor Gearlab has already done it. We did not have any problems. In some of the places we got boiled water which has the added bonus of keeping you warm at night. You would have to pay for it but most lodge owners did not mind if you leave your bottle and boil it yourself.